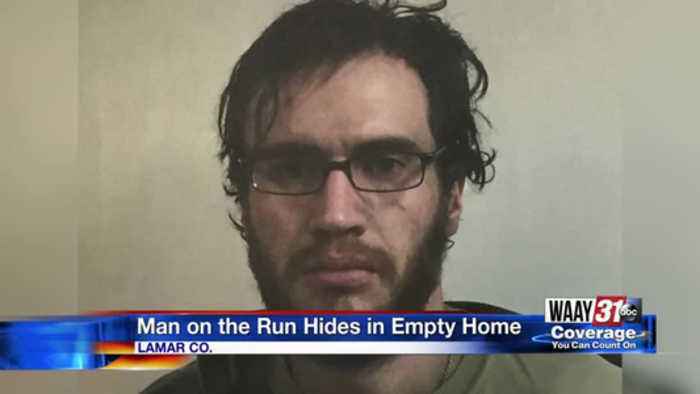 This morning, a man who was on the run in alabama, is now in jail in mississippi. The man hid in a home in lamar county that was undergoing renovations. Law enforcement tried to question jacob conn about his involvement with a fire at a scrap yard. He then lead them on a 30 mile car chase before he crashed his car and ran into the woods. The owners of the house said he kicked in the back door and made himself at home - even opened some canned beans and fruit! "i stopped him and he said he was trying to get into his house. And i said no this is not your house butted with by the time i pulled up and got out chase came by saying they had him and so i went around to help and i wasn't gonna let him get away i actually grabbed him with force law enforcement quickly rushed to the home and he was arrested and taken to the lamar county, alabama jail.